Unique flexibility as to location. Fix mount or freestanding options. 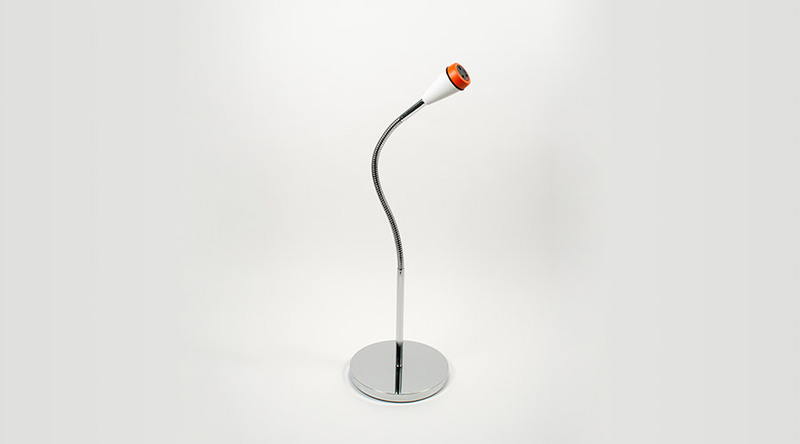 Bezel available in a range of vibrant colours. 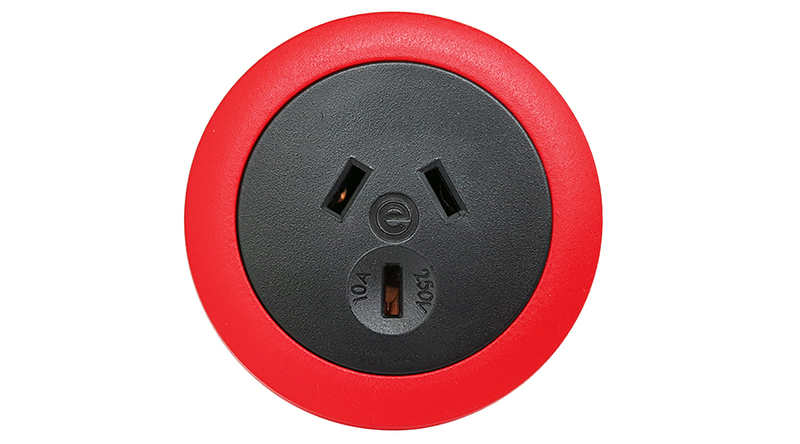 POSE is a unique solution to providing conveniently locatable power or USB charging socket in casual seating areas. 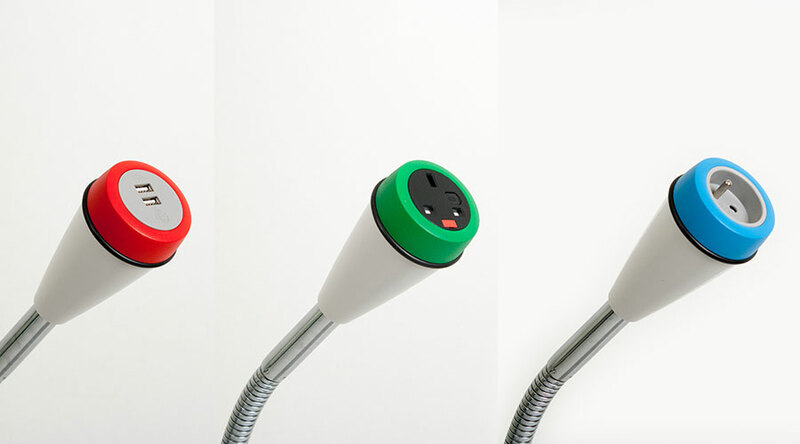 The standard POSE consists of a tough single socket polycarbonate power module fitted to a flexible chrome gooseneck mounted to a weighted base. 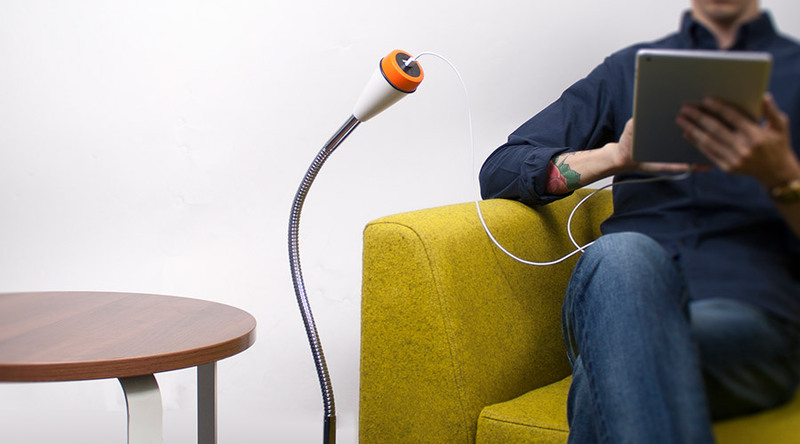 Special versions of POSE can also be supplied for mounting direct to select furniture and seating. 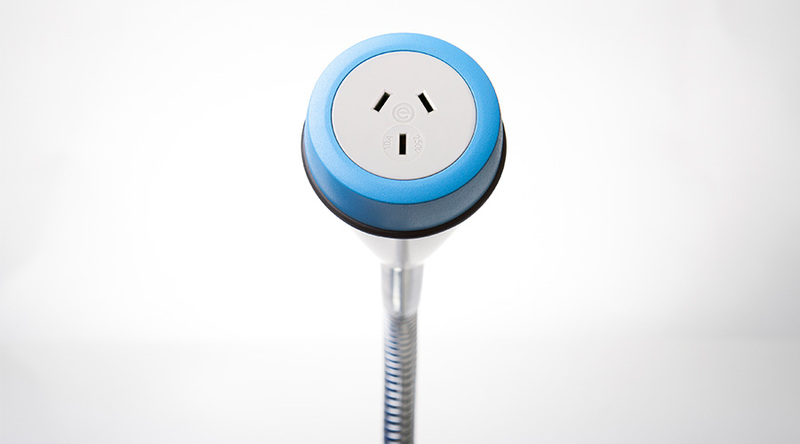 POSE comprises a white or black “sparked finish” polycarbonate power module with black or grey sockets, attached to a chrome gooseneck and base. 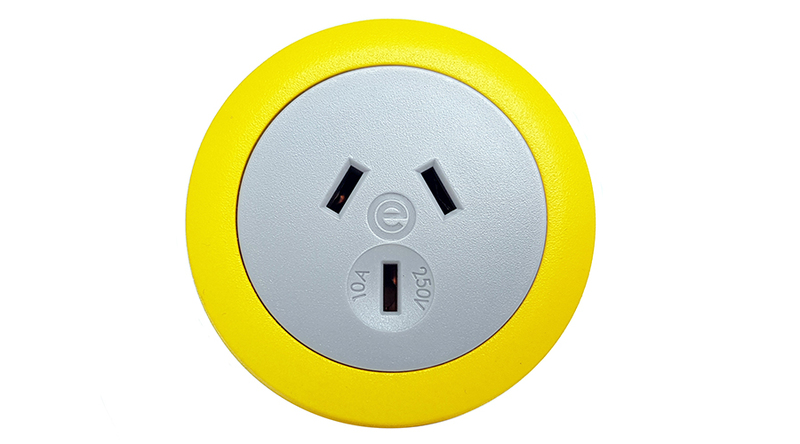 As an extra cost option the socket bezel can be painted in a range of 8 vibrant colours. 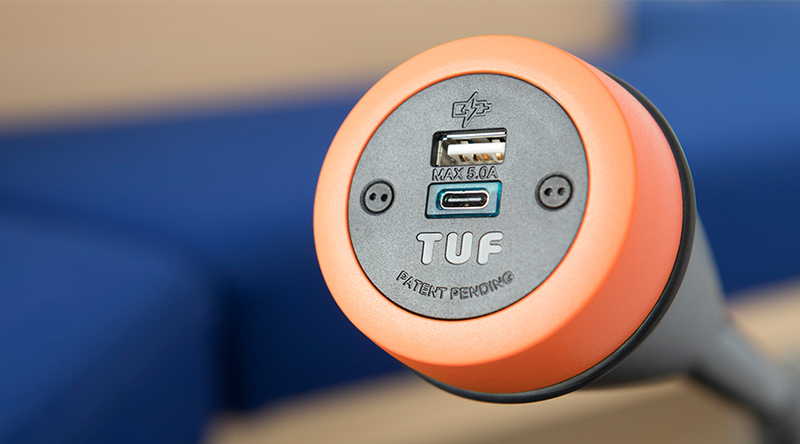 The POSE single socket outlet may be configured with a power socket or our class leading OE Elsafe TUFA+C: Twin USB Fast charger. 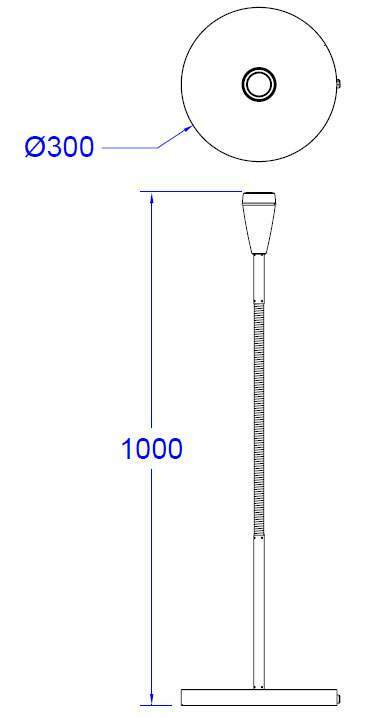 Flexible chrome plate steel gooseneck – standard length 880mm. 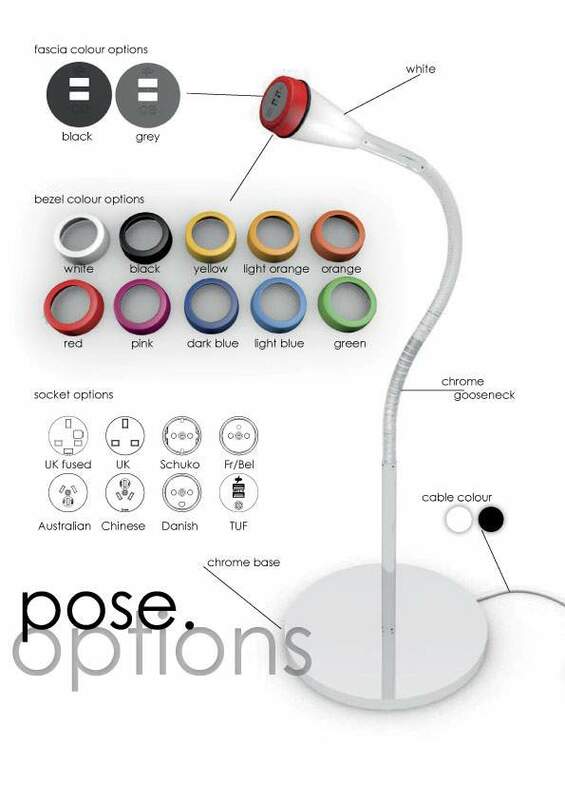 POSE can either be free standing via the weighted base or the gooseneck can be attached directly to furniture using bespoke fixings.